The Mall of Cyprus celebrated its 10th birthday! 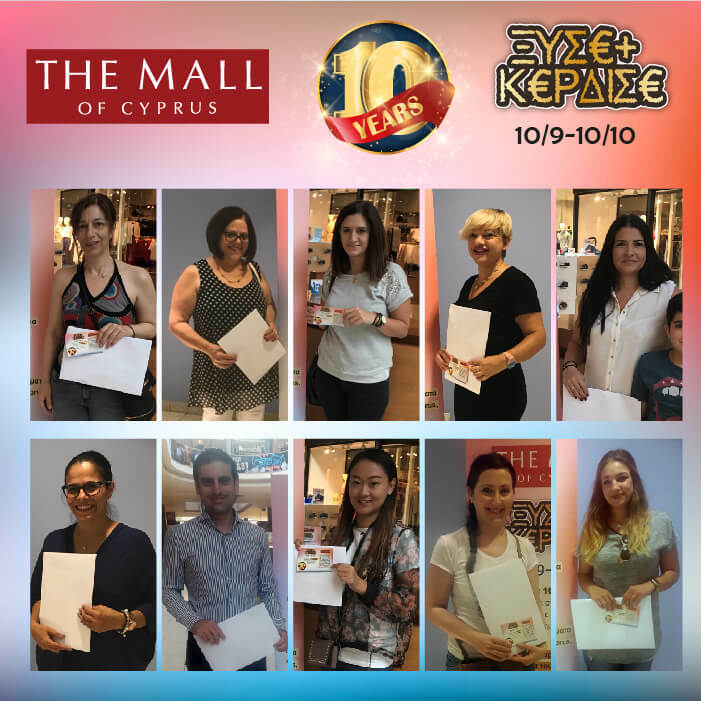 10 lucky winners won vouchers worth €5000 from the shops of The Mall of Cyprus! Congratulations tο Kyriaki Hadjiarchontidou, Athena Arnou, Irene Mardapitta, Evie Omirou, Despina Lioliou, Elena Petridou, Nestor Papatrechas, Wei Miao, Stalo Parperi and Maria Christodoulide who found the 10 winning scratch cards and got their €500 in shop vouchers for shopping at The Mall of Cyprus!